When teeth are in good condition but are darker than desired, whitening is the answer. Discolored teeth can be quickly and easily restored to beauty with various techniques. Cosmetic tooth whitening or “bleaching” teeth can be performed in our office or at home. This procedure involves taking an impression of your teeth and fabricating custom bleaching trays. Once they are complete, the home bleaching gel, the trays and instructions for use are given. Whitening occurs when you wear the trays, with the gel, for as little as 1 hour a day for 2 weeks. You may continue the treatment for longer to get even better results. This procedure is safer, with less sensitivity, and much more effective than over-the-counter remedies. ZOOM! II TOOTH WHITENING: Whiter Teeth in about an Hour! The Zoom! In-Office Whitening System is one of the most effective tooth whitening systems available. Zoom! is safe, fast and convenient. In our office we are using the newest, most advanced system available – Zoom! II. The Zoom! 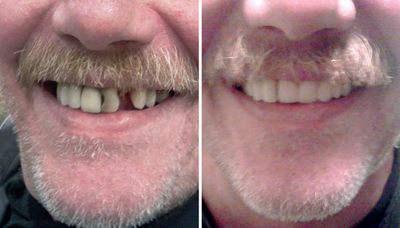 System is a revolutionary tooth whitening procedure. It’s safe, effective, and very fast. In just over an hour, your teeth will be dramatically whiter. Zoom! In-Office Whitening is ideal for anyone looking for immediate results. The Zoom! Whitening procedure is simple and painless. It begins with a short preparation to isolate your teeth and gums. Next the proprietary Zoom! Whitening gel is applied and then activated by the new, more effective Zoom! II whitening lamp. After 3 applications you will be amazed by the results. In many cases, teeth get even whiter the first few days after the procedure. For those who want even greater results, this treatment can be followed-up with special at-home procedures. With proper care and an occasional touch-up at home, your whiter smile will sparkle for years to come. DIGITAL DENTAL X-RAYS: Safer. Faster. Better. Dr. Sternberg uses digital dental X-Rays to provide even better dental care and more accurate diagnoses. The process of digitally capturing an image is much faster, safer and more comfortable for the patient. We place a small sensor in your mouth. The sensor is connected to a computer by a thin wire. Next, an X-Ray beam is sent through your teeth (at a much lower intensity than is required by conventional techniques) and into the sensor, which records the image and sends it to the computer. The digital dental X-Ray system is more sensitive than conventional film systems, so your exposure to X-Rays is cut by as much as 90 percent. The large and enhanced images let you see what the dentist sees, so it’s easier for you to understand any necessary treatment. With no chemicals or film to dispose of there is no polluting the environment. Your dental checkups take less time, and it’s fun to watch the system work. For the benefit of anxious patients, we have available Nitrous Oxide Conscious Sedation (also known as Laughing Gas). Nitrous oxide sedation can transform adults and children with dental anxieties into comfortable and relaxed patients. Nitrous oxide has helped millions of people overcome their fears. It is safe, effective and the most trusted of all dental relaxation techniques. 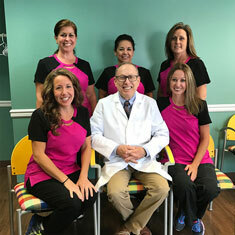 Let us create a new smile for you!